Vinyl LP pressing. 2011 release from the Electronic/Dream Pop band led by French singer/songwriter Anthony Gonzalez. Produced by Justin Meldal-Johnsen (Beck, NIN, The Mars Volta, Goldfrapp) and including contributions from Brad Laner (from 90's band Medicine) on guitar, Saturdays=Youth vocalist Morgan Kibby, and guest vocalist Zola Jesus, Hurry Up, We're Dreaming is a double-album journey that takes us to the horizon and introduces us to new landscapes. 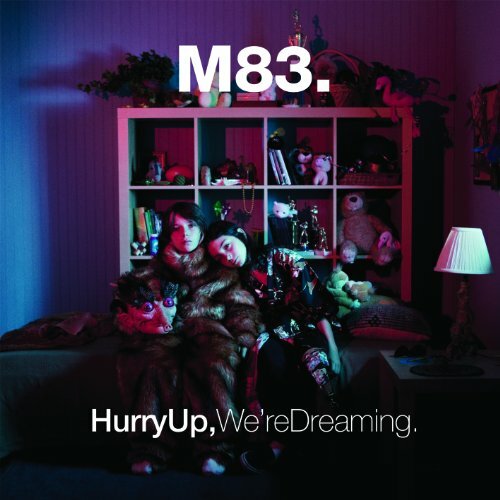 About awakening, craving, and conquering, Hurry Up, We're Dreaming pushes into new vocal territory for M83. Here we see Gonzalez test out different ways of singing, ranging from a spectral breathy whisper to a howling scream.